Key Difference: Snail Mail refers to the mails which are delivered physically by conventional postal delivery services. E-mail stands for electronic mail. It refers to mails or messages which are delivered using an electronic medium by a network. 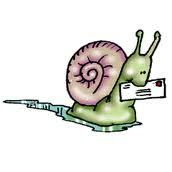 Snail mails or smails have been named after snail+mails, which refers to the slow movement of snails. Smails refer to the mails that are delivered by conventional postal services, by which the mails are physically delivered to the receiver. They are often contrasted with emails, as emails are known for their instantaneous dispatch and delivery system. Snail mail can be referred to as a synonym for regular postal service. 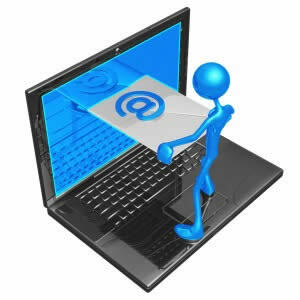 E-mail or electronic mail refers to a message which is sent or received electronically. According to this loose definition, it also include the telegraph message(by wire) and Morse Code transmissions (by airways). It may also include the telex network. During the 1960s and 70s, the concept of emails was incorporated in systems involving mainframe and minicomputers and they got the facility to send messages to each other. The first ARPANET network email message is supposed to be transmitted in 1971. Snail mails are basically the hard copies, and thus one can hold them in their hand and read it. This kind of feel cannot be obtained in emails. Emails are electronic copies, and therefore it becomes easy to scan them and even delete them. Emails are definitely a faster method of communication than compared to snail mails. Snail mails bear the risk of mishandling by the postal department, due to which they may even never reach to the intended recipient. E-mails seem to be better in context to this issue. However, email account holders often face the problem of spam mails and hackers. Due to the numerous advantages of emails over snail mails, snail mails are dying out and most of the people are preferring emails in the current scenario. Snail Mail refers to the mails which are delivered physically by conventional postal delivery services. E-mail stands for electronic mail. It refers to mails or messages which are delivered using an electronic medium by a network. More personalized, as one can write in his own handwriting and the recipient can actually hold and read the mail. Lacks a certain amount of personal touch due to its digital form. Risk of losing the mails by the postal department. Mails can get damaged by various physical factors. Email accounts can be hacked, and thus hackers can misuse the account for sending mails. Hackers may also get access to the sensitive data or information.